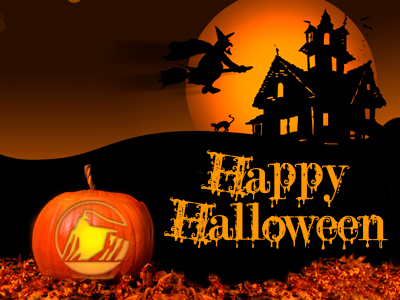 I’d like to wish you and your family a safe and Happy Halloween. Since Halloween is tomorrow, we wanted to share a couple of ideas that you might use to get ready. Pumpkin pie is one of the most popular culinary delights of the fall season. Here is a recipe from AllRecipies.com that received the “5-star rating” as The Perfect Pumpkin Pie. For those that are a little more adventurous with your pumpkins, you may want to carve up some scary or funny pumpkins to decorate your home. We thought you might enjoy the options for Extreme Pumpkin Carving: ExtremePumpkins.com. Now you can have the coolest house on the street! This entry was posted on October 30, 2013, 10:08 pm and is filed under Living. You can follow any responses to this entry through RSS 2.0. You can leave a response, or trackback from your own site.